Each archetype is an identity that we attach to and it shows up in an overabundance of that item. Each identity also has a shadow side. The shadow side of any identity is what we fear the most, and so we overcompensate to avoid it. As a result, what we fear is exactly what ends up happening. Anytime we grip too tightly or hoard something, we end up with what we fear the most. Life is meant to be an organic inflow and outflow. Let’s take a closer look at a few of these archetypes and see where your clutter intervention needs to take place. Are your cabinets cluttered with beauty products? From makeup that was the wrong color, to facial creams that didn’t smell good, to hair conditioners that made your hair frizzy, to skin toners that dried out your the skin, to travel shampoos that might be needed one day? These are usually stashed in bathroom cabinets and finally get our attention when we run out of space or upon moving. The excuses for hanging on to these products run the gamut. There’s almost a whole bottle left. I might still use it. I could refill my travel bottles with it. I could use it for travel. Even though it broke my skin out, it might not the next time I try it. It was expensive. I don’t want to waste it. I should give it to my sister. Believe it or not, all of those are cover excuses for what’s really going on. Most females use beauty products of some sort, but women whose identities are strongly associated with their appearance are more likely to have more beauty products. If your appearance has been an asset or a positive part of your identity, then you are more likely to spend more time and money on that area of life. This is true regardless of whether you believe you are pretty or not. In an attempt to hold on to our beauty, we hold on to beauty products. Obviously, there is no logical correlation to this. Holding on to these items is an outward manifestation of the desire to hold on to one’s beauty or an endless attempt to perfect it. If beauty products aren’t your nemesis, then maybe piles of papers, magazines, or books are. Papers can come in the form of mail, household papers, magazines, notes, to-do-lists, books, or any other resource on paper. You know who you are if this section applies to you. It’s a never-ending stack of papers to be dealt with. For information junkies, being resourceful is very much a part of their identity. It’s where they feel valuable and helpful to the world and derive self-worth. They enjoy the exchange of information on the mental level—learning it for themselves or sharing it with others, usually both. The idea of getting rid of these information resources feels overwhelming. Papers are certainly valuable, but when do they become too much of a good thing? You most likely know when you are up to your ears in too much paper. There’s a desire to lighten their load, but fear swoops in. What if I throw something useful away? What if I need it later? Am I throwing away a good idea? I might need that for a future project. My client might need it. Resourceful people fear being out of the loop so much that they hang on to paper and information to the point of stagnation. As a result, they lose their resourcefulness—exactly what they fear. If this feels all too familiar for you, simply acknowledge that information gathering and sharing is a part of who you are. Life will always bring new and fresh information to you. This will allow new ideas and thoughts to come in. If you feel like an overabundance of clothing is your Achilles’ heel, then you most likely enjoy being stylish. Clothing can certainly serve a utilitarian purpose, but those who have an overabundance of clothing usually have an identity around being stylish with an underlying fear of being outdated or irrelevant. If that’s true, then why would a stylish person keep out-of-style clothes in their closet? Being stylish comes with a price tag. Trending through clothes can get expensive. Spending money on an outfit you wore once to a party, or maybe even never at all, comes with an even higher price tag: guilt. Guilt is a common emotion that hijacks our natural process of letting go. The paradox is that if the guilt is active in one’s vibration, then you will continue to make ill-advised purchases. This is what ultimately leads to your closet becoming stuffed with items you never wear and wondering why you have such a hard time getting rid of them. Instead, acknowledge that you enjoy being stylish. Be okay with gambling on a dress you might only wear once to a special occasion. Start to let go of items you truly know you will never wear—even if they still have the price tags. Donate them to an organization that you feel makes a positive contribution to its community. This will ease the guilt and help shift you into a place of freedom. Shopping will become less impulsive, and you will start to love and wear everything in your closet. If your home feels overrun by toys, determine if it’s an organizational issue or a consumption issue. If it’s just a matter of better organization, then there are simple solutions. But if you struggle with giving in to your child’s whims for more and more toys to the point of overconsumption, then this presents a different challenge. It’s the overcompensation for not being a good enough parent. Consider if you feel guilty in some aspect of being a parent. This can also apply to dads who aren’t around as much as they’d like to be. We often use gifts or tangible objects as a replacement for time and attention. Do you feel like you’re not giving your child enough of your time and so you attempt to replace this with toys? Or, do you feel like you give and give and give and it’s never enough? This is a common pattern of those who struggle with unworthiness. It’s important to investigate the root of why you overgive to your child. If unworthiness or guilt is at the root of your interaction with your child, that energy will get passed on. If there’s some aspect of your parenting that you don’t feel is adequate, clarify for yourself what that is. Is it legitimate? If so, what changes can you make? Or is it an unfounded pressure you’re putting on yourself? With any of the archetypes, finding balance is the key. The goal of a clutter intervention is not to achieve minimalism necessarily, but instead to create a supportive environment for you and your family. Excerpts from Clutter Intervention: How Your Stuff is Keeping You Stuck. Do you want to learn more? 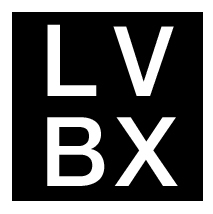 Be sure to tune in to LVBX’s Facebook page on Monday, March 26th at 11am PST as Tisha Morris discusses more in a live session.